Making the most of the last leg of summer by going on a holiday. Bliss. Whether its been in plans for months or its a last minute trip, there’s always one hurdle separating from those gorgeous sandy beaches-- packing. How do you know what you’ll need? You don’t want to leave anything important at home. But then again, what’s worse than dragging a huge heavy suitcase around all week, only to wear just a quarter of what you’ve packed? Let me simplify matters. These are this year’s must haves for a comfortable and stylish vacation. Follow this list to make packing a breeze. You’ll need a great bag to hold all your essentials for the beach. This beach bag can also double as a bag to take with you while flying to hold everything you might need while airborne. It’s durable enough to hold up to sun, sand, water, and spilled drinks. It also has an interior pocket so you can keep smaller essentials safely contained and easy to find when you need them. The crossbody strap lets you can go hands free when needed. You might find yourself liking this bag so much you want to keep carrying it long after your trip to the beach. This darling one piece looks stunning on just about everyone. The cut out allows you to show just a little bit of skin, while still getting all the advantages of a one piece. This one has a bit of a vintage look that has been so popular in recent years. You’re sure to look elegant and avoid feeling frumpy. Although it may seem risky, don’t be afraid to order online. Measure yourself to be sure you get the right size, and then click away! There’s a huge difference between a swimsuit that you bought because you hated it least of all the options at the shop, and a swimsuit you buy because you like it. You deserve to lounge with confidence! This 3-day nutritional booster from is a must have for feeling your best on holiday. Long flights can lead to dehydration and a general feeling of yuck. There’s nothing worse than showing up at your destination tired and jet-lagged. Holidays are supposed to be refreshing, not feel like a slog. This pack is filled with nutrients that help prevent dehydration and that blah feeling while keeping you energized so you can get the most of out your trip. A cute and comfy dress is just the thing for that effortlessly elegant look. This airy blue dress is just the right balance of flowy and structured, so you’ll stay cool while looking great. Plus, it has pockets. It’s just the thing for a day strolling through the town. And the best thing is that a dress is an outfit in itself, so you won’t have to worry about building an outfit that day. Just grab this one and head off to adventure! Leave the heels home this year. It’s time for relaxation. Give your feet a chance to relax too by ditching the heels and packing a pair of cute flats. Your feet will still look great, but they’ll be more comfortable and you won’t have to be as careful on cobbled streets. These flats have a cushioned insole for added comfort, and come in a classy black that will go with everything. The best part is the ankle tie, which is removable for an easy way to switch up your look without overstuffing your suitcase. The blue patterned dress is good but I am not sure it will suit me or not. I love a good pair of ballet flats! The Via Spiga Baylie Flats would be perfect for me. What a really great post. I adore the canvas bag it looks totally perfect for a beach trip. Great tips here. Great tips. Love the blue bag! Also one must add some great lingerie in their holiday list too! I love shopping from https://intimatenation.com. They have very nice colors and prints for their lingerie. These items are really good but the items that I like the most are the bag, that dress and the flats it looks like a perfect outfit for me. 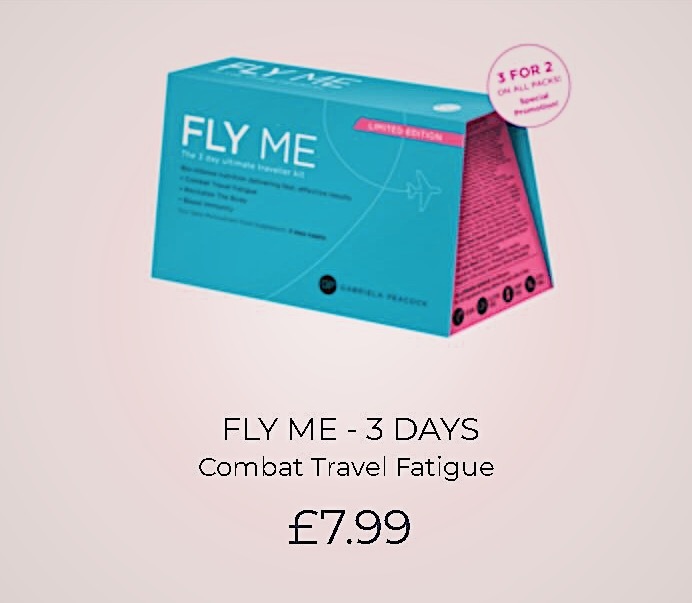 I'll have to try the Fly Me pack. 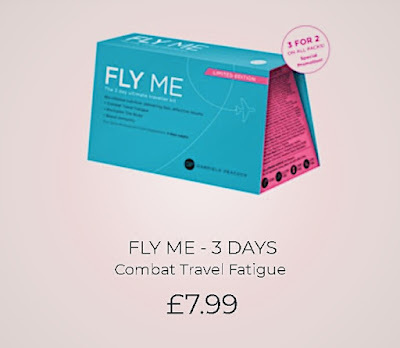 I travel and fly a ton, and it would be great to have a way to keep healthier while on the go! Heeyyyy. I love those shoes. I hope I can find one in our area, I'd surely get it. Lovely picks you have here dear, especially that blue patterned dress. So breezy and comfy. These are all really great items for going on holiday!! I especially love the canvas tote (they are my FAVORITE bag!) and the comfy flats and dress. The nutritional booster is also a good idea, as I also generally feel like yuck after a flight, even a short one. Thanks so much for sharing those items! Very lovely picks!! These flats look really cute and comfortable. It is surely a must have for travelers like me. Thank you for sharing about it.